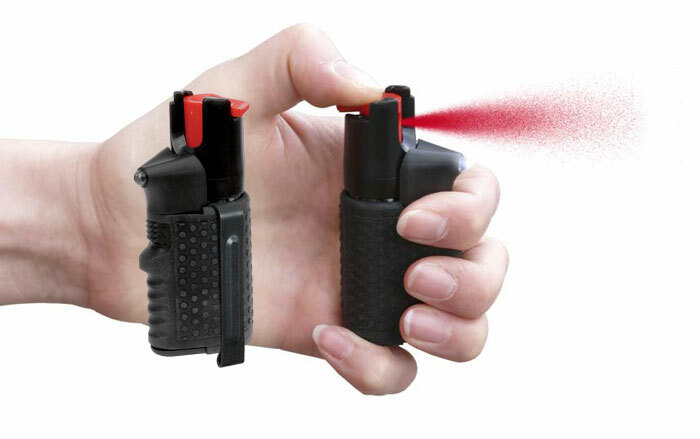 This Spray Flashlight is based on defensive pepper spray of the type HURRICANE. 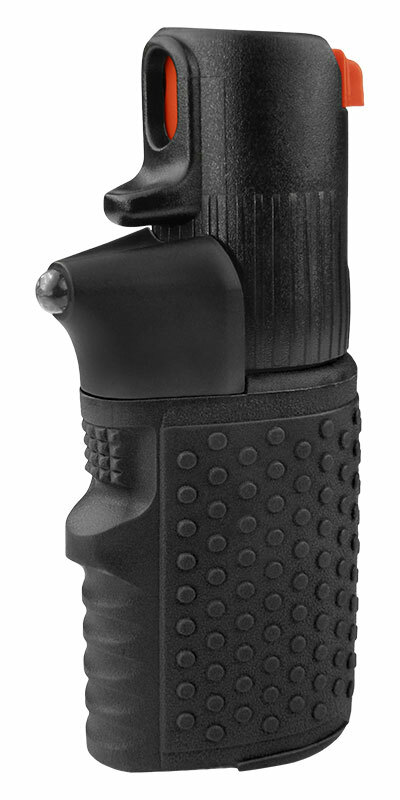 Miniature adapter contains complete LED flashlight with 4 batteries AG5 and rubber sleeve. 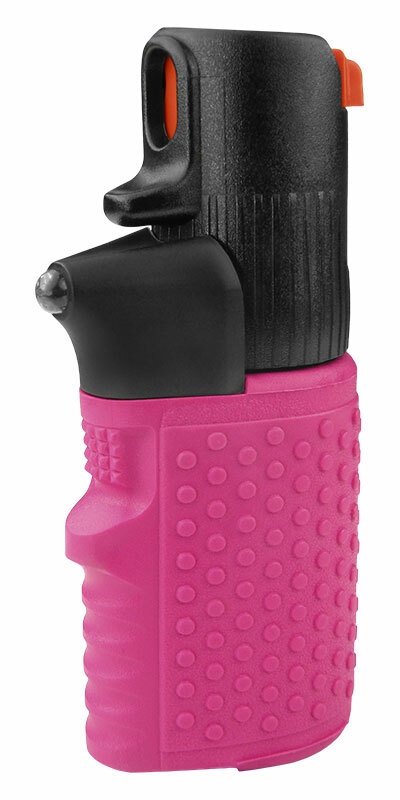 Spray Flashlight HURRICANE is thanks to its dimensions ideal for women, as it takes only little space in handbag. It can be an invaluable helper when they are in potentially dangerous surroundings. Volume of the spray can is 15 ml and the spray contains Oleoresin Capsicum (10% OC). Spray has character of JET with small drops, that's why it is less susceptible to dispersion by possible mild wind. It enables approx. 20 short shots at the distance up to 3 m.
This product was already patented in the USA. After emptying of the spray can the light module is simply mounted on a new pepper spray HURRICANE. Colour: black. Height: 87 mm, width: 40 mm. Colour: pink. Height: 87 mm, width: 40 mm. This type of Spray Flashlight HURRICANE is equipped with metallic clip for fixing on the belt, etc. Height: 87 mm, width: 40 mm.